2016 brought us some really good tunes. Throughout the year I added over 1000 songs to my running playlist. Below is the list of my favorite tunes in a simple to follow playlist. 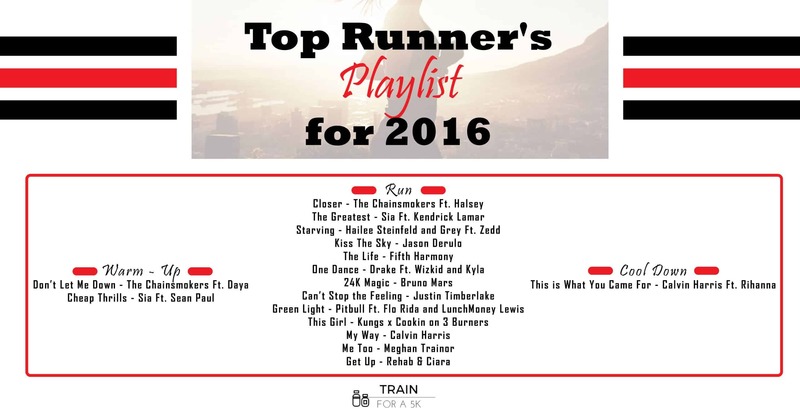 This playlist includes warm-up, run and a cool down mix - perfect for any run. Enjoy! Don't Let Me Down: The Chainsmokers featuring. Daya - 160 beats per min. Don't Let Me Down get's you going with a smooth build up and halfway through the song you will catch yourself singing along (hopefully I am not the only one :)). Cheap Thrills has the ability for you to focus on the music and the beat and completely block out the the sound of your breathing and shoes pounding the pavement. Closer: The Chainsmokers featuring. Halsey - 95 beats per min. A great combination of songs you know the lyrics to and some that have some really great beats. This is What You Came For - Calvin Harris featuring. Rihanna - 124 beats per min. The cool down of your run lowers your heart rate in a safe manner with this jam. 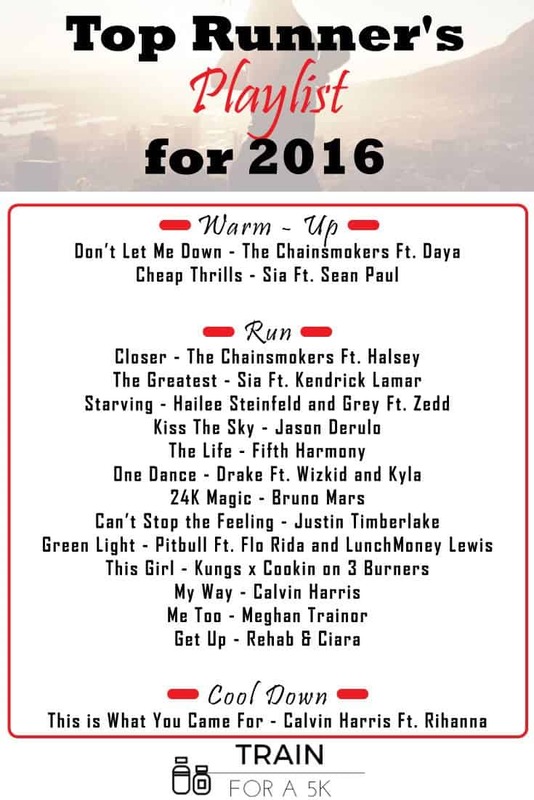 There you have it... the top runner's playlist for 2016. Below is an infographic if you would like to share on your social media channels.